Contact Us BAND SUBMISSIONS Volunteer with us! About Events Upcoming Events Past Shows PLAG Workshops PRESS MEDIA Photos Videos MERCHPLAG MAGPLAG RECORDS CONTACT Contact Us BAND SUBMISSIONS Volunteer with us! Doris Munoz. Photo by Jay Aguilar. August Eve performing at Selena for Sanctuary. Photo by Paul Luna. mija mgmt goes far beyond simply representing Latino and other artists of color, though — every other month, Muñoz puts on a benefit show to raise funds and awareness for everything from suicide prevention, to scholarships for undocumented college students, to funding DACA recipients’ renewals. Her latest benefit show at the Hi Hat, Selena for Sanctuary on November 24, is the 5th installment of her Solidarity for Sanctuary series, which she started in order to raise money for her parents’ legal fees pertaining to their immigration petitions. “It’s scary when you see ICE knocking down people’s doors and deporting people. I just knew I needed to take action to protect my parents,” says Muñoz. 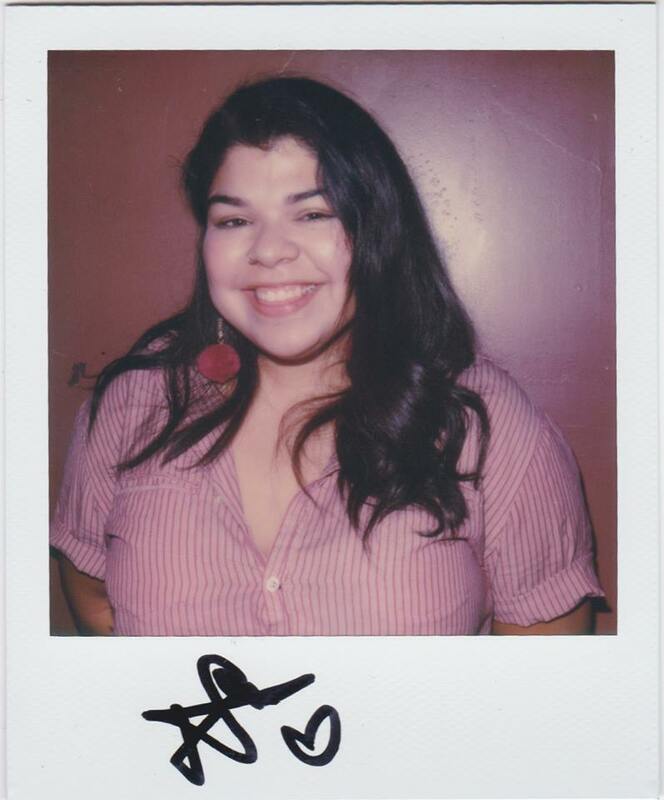 “Our community has been targeted in this administration heavily, and that’s why I wanted to use this platform that we were building [mija mgmt] for good.” So far, with her help, Muñoz has helped protect her parents and others in the undocumented community from being uprooted from their homes. mija mgmt presents Twin Peaks Night featuring August Eve at The Continental Room on December 4. More information here.